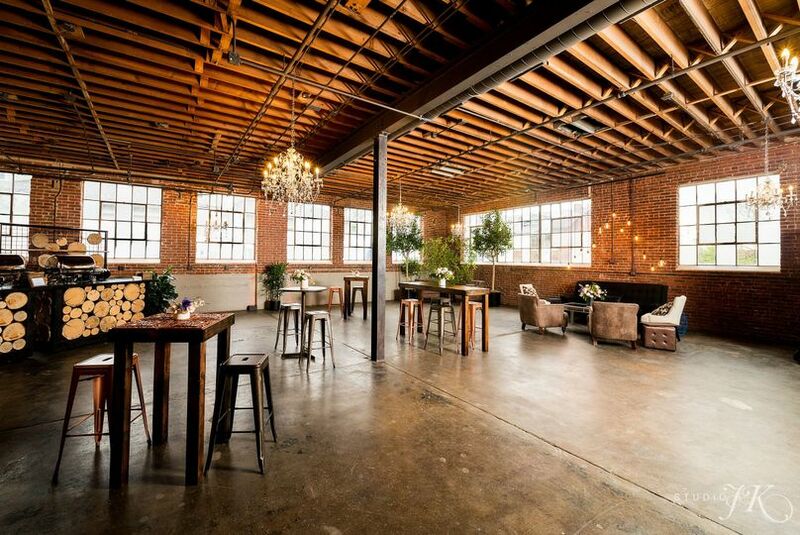 Moss Denver is an industrial-style wedding venue located in Denver, Colorado. This unique space, which was created in the 1900s, has maintained authentic aspects of the original building. However, it has also been renovated to reflect a more modern and urban style. 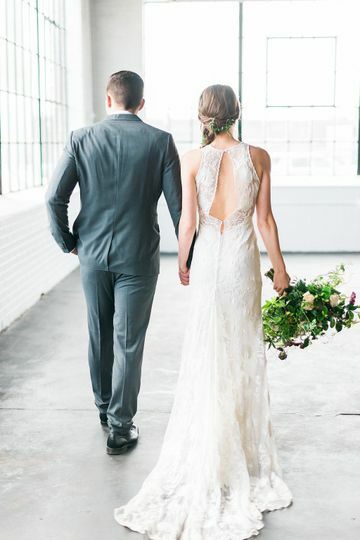 During the renovation and reviving process, the goal was to create “industrial artistry.” Now, couples can receive that industrial artistry style and atmosphere on their special day. In its indoor settings, the Moss Denver can accommodate up to 200 of the couple’s friends and family. 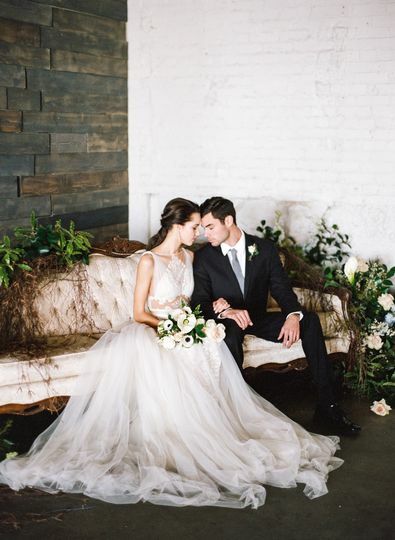 You will have a unique backdrop when you say your vows or take your wedding photographs in front of moss-filled backdrops. In the Chandelier Room, you will be surrounded by chandeliers and large windows allowing lots of natural light to fill the space. The Edison Room, named because of the Edison bulb lighting throughout the space, contains impressive moss walls and glass ceilings. As you prepare for your wedding, you can relax in the private dressing room. If you need a bit of extra space, you can take advantage of the Vestibule area as well. 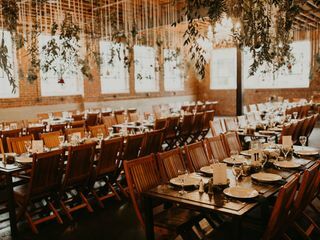 With the venue’s exposed rafters and cement floors, you will have spaces filled with plenty of style and functionality. Couples are provided with vendor recommendations to simplify their selection process. If you need help with accommodations, the staff can arrange that as well. If you would like to add some finishing touches to your wedding ceremony or reception, you can choose from lighting and sound, arches, altars, tables, and more. My husband and I settled on Denver as a destination wedding location. Coming from Chicago, we knew we wanted to celebrate our marriage at a venue that felt like “us” and paid tribute to the city where we’d started our story together. 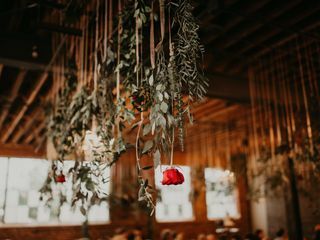 Moss Denver seemed to do just that — offering a romantic feel in a more industrial, urban space, not at all unlike something we would find in our own city. We loved that it could hold its own when it came to decor, too, without needing to be overly designed or transformed. 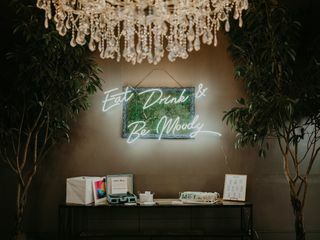 When we booked Moss in the spring of 2016, the Edison Room was still under construction, but the Chandelier Room and a well-sold vision for the other half of the space were enough to hook us. When we arrived in September to see the venue and meet with our vendors, we knew we had made the right decision. The Edison Room was complete and looked remarkable, just like the rest of the space. On the day of our wedding, we held our ceremony and cocktail hour in the Edison Room, and moved seamlessly to the Chandelier Room for dinner and dancing. The evening was everything we could have hoped for, much of which is because the vision for our day was carried out so beautifully on the backdrop that is Moss. Thank you for creating such a gorgeous space where we were able to make so many lifelong memories. 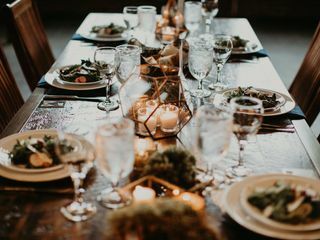 From start to finish our interactions with the venue staff were professional and helpful (down to the wedding day, when our venue manager jumped in to help stitch up a pair of ripped groomsman pants right before the ceremony!). 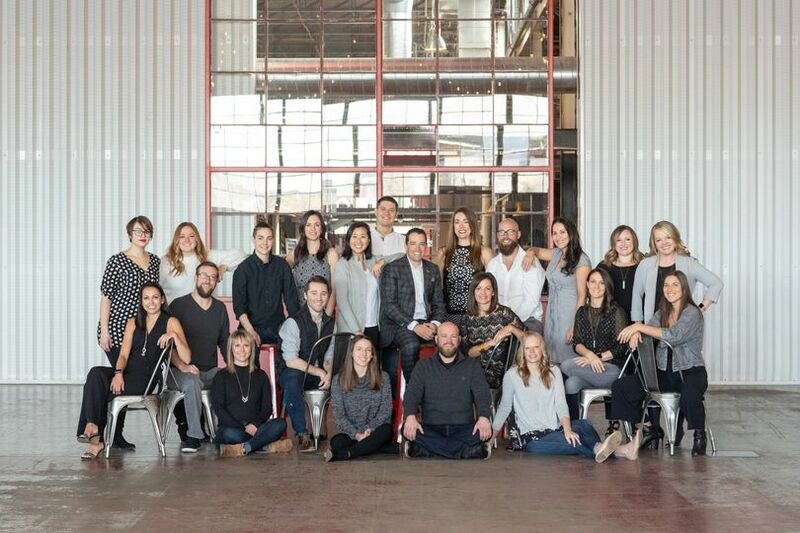 I would highly recommend booking Moss Denver for your event. Moss was the perfect venue for our wedding! We had our ceremony/cocktail/dancing in the Edison room, and then dinner in the chandelier room! 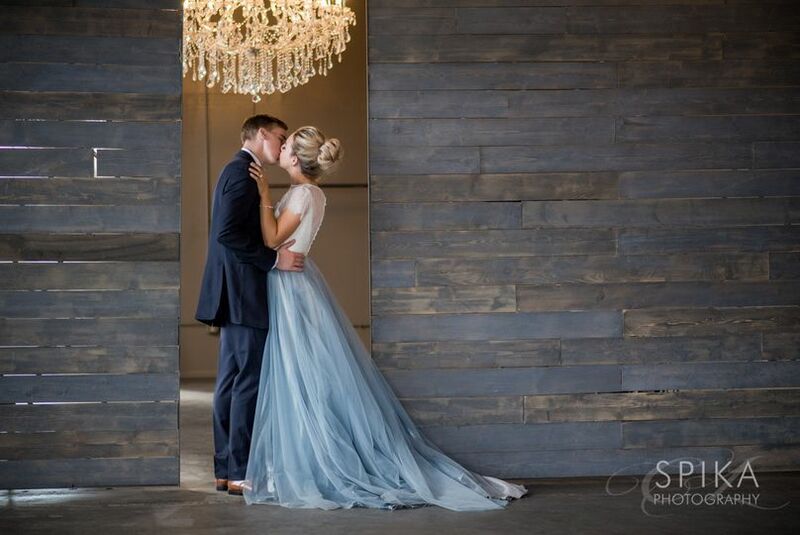 Everything was perfect and the aesthetic was exactly what we were going for! Our guests loved the space! Charles & I were immediately right at home when we found Moss. 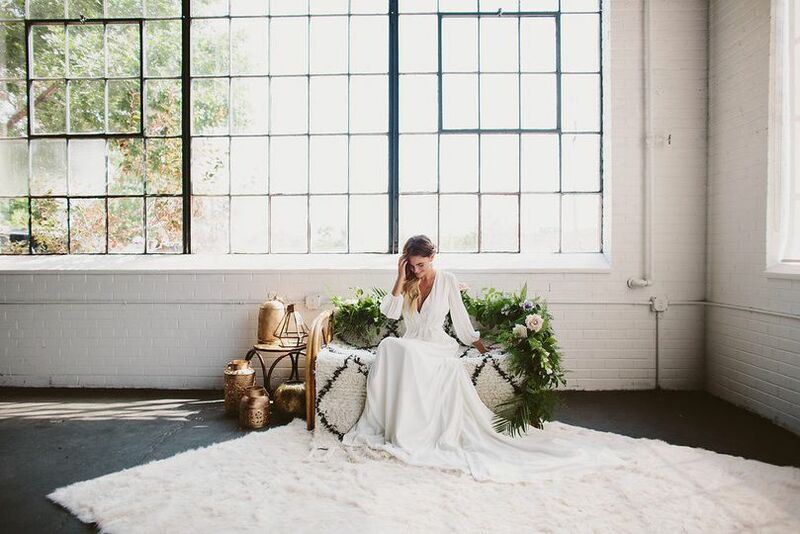 The red brick walls, the exposed beams, the white wash brick, the industrial windows... It was the perfect setting for our wedding. The back bridal room is a little small, but we opted to get ready off property which ended up working great. You can't take a bad photo in that space. 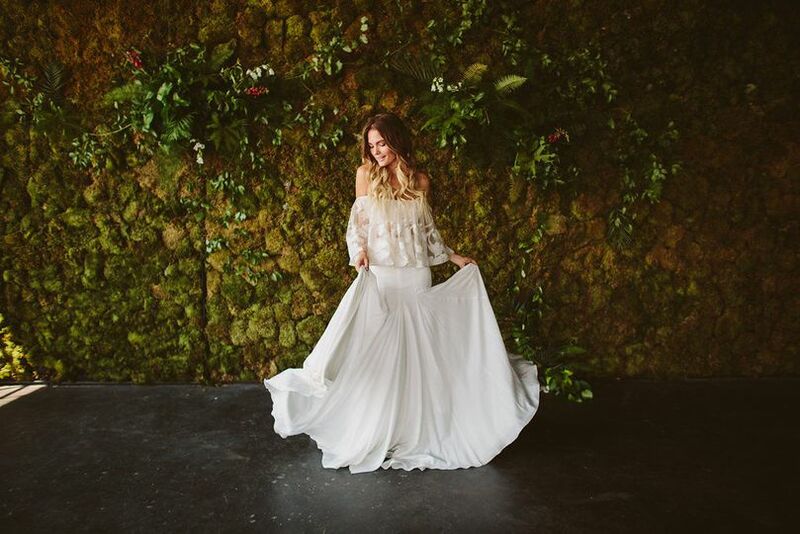 The moss wall is spectacular and such a unique backdrop. 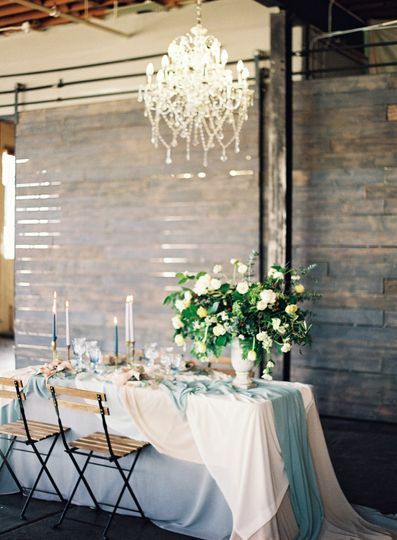 And we highly recommend renting their Rustic Rentals tables - its a perfect addition to the space. The whole staff was incredible. We want to throw another event there one day! We love working at this charming venue! 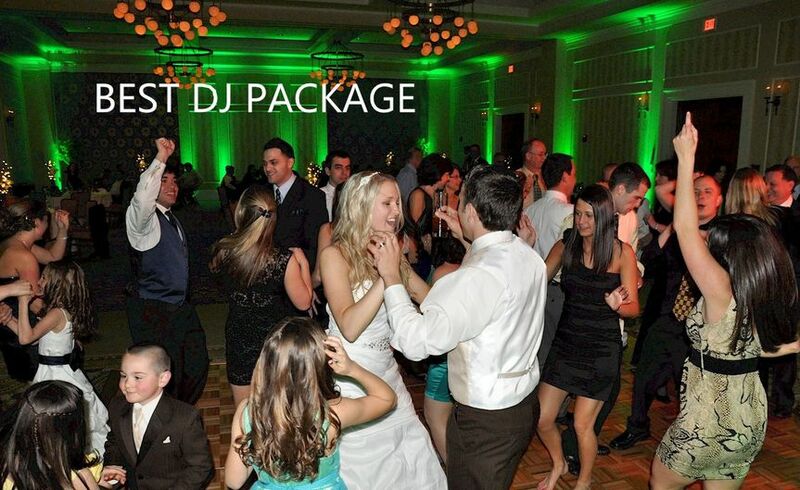 Its urban-industrial, homey feel is a blank-slate to work with for any type of event. 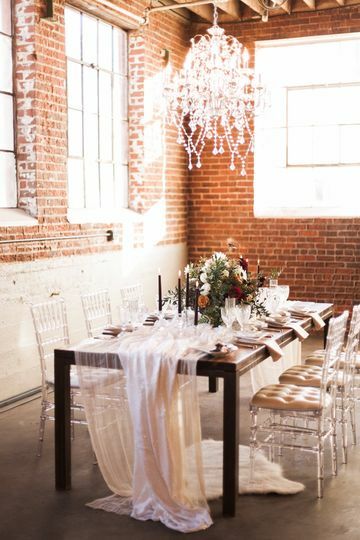 The exposed brick walls with touches of modern chandeliers and wood accents are perfect for shabby-chic weddings or any corporate and social event looking for a unique space! 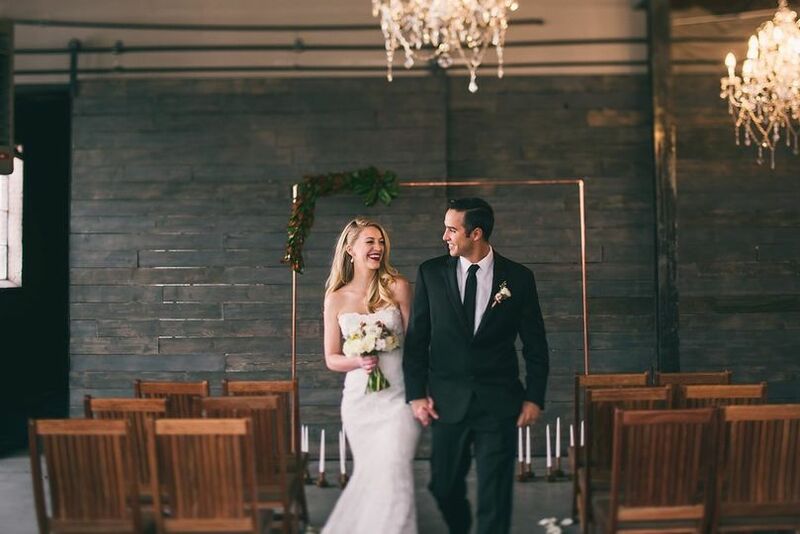 Moss is one of the best places in Denver to book your wedding. Located right next to the Santa Fe Arts District, the building has an urban feel to it with beautiful vintage windows that let in the best light. The staff is extremely friendly and helpful to their couples as well as their vendors. 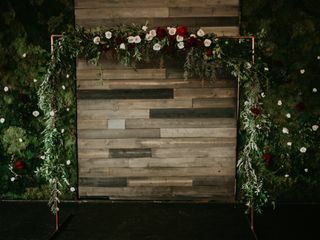 I would highly recommend Moss to anyone looking for a wedding venue in the Denver area!